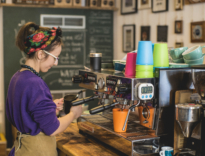 Shrewsbury BID is raising the profile of the town centre through online exposure as a vibrant, welcoming and unique place to visit and spend time in. 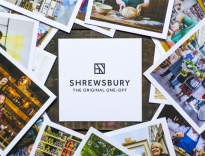 We have developed the consumer brand, Original Shrewsbury, bring to life the town centre’s original positioning with a creative and unified approach to marketing. We run a number of seasonal campaigns to encourage visitors to the town and manage year-round activity through originalshrewsbury.co.uk, social media platforms and PR activity. Shrewsbury BID members are entitled to a free business listing on the Original Shrewsbury website, use the button below to create your listing. If you would like a listing on the Original Shrewsbury but are not a member of Shrewsbury BID, find out about becoming a Voluntary Member. We have now launched a back-end login for BID members to create, edit and update their listing, along with the option to add their own events. If you have not received a login for your business, please complete the below form and we will respond with your login.